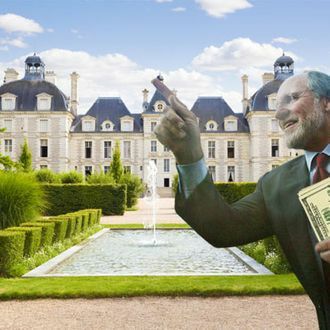 Now that he’s presumably no longer in the market for a new chateau, Jon Corzine has focused his real-estate energy elsewhere. The Wall Street Journal reports that Corzine, fresh off the professional glory that was MF Global, is hunting for office space in Manhattan. He’s said to be looking at 40 Wall Street, near the Stock Exchange, and, more specifically, at office space within brokerage firm John Carris Investment. It’d be a friendly space, presumably; Corzine “knows at least one of the securities firm’s executives from earlier in his career, said a person familiar with Mr. Corzine’s thinking.” And the firm’s clients have a history with Corzine, too. Corzine supposedly isn’t seeking a job with the firm, though. Which, if true, leaves open the question of what exactly he’ll do with that office. Setting up his own shop doesn’t exactly seem like a viable option. Maybe he wants a quiet space to do the crossword?